Odonis Odonis in Montreal or Quebec City? Inform me about the next events for Odonis Odonis. Enroll yourself to our priority waiting list for Odonis Odonis to be alerted when new tickets are available. Filling this form doesn't engage you to any purchase. 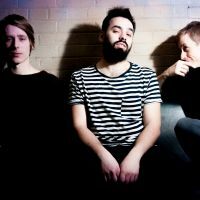 Odonis Odonis will be visiting our town shortly and you still don’t have tickets? 514-Tickets has what you are looking for! 514-Tickets is a broker specializing in concert tickets. Our extensive inventory allows us to offer you tickets to concerts, shows and even sporting events which take place in venues such as the Bell Centre, St-Denis Theatre and Étoile Banque Nationale to name a few. To provide you with an enjoyable shopping experience, 514-Tickets gives to all our customers a 100% Satisfaction Guarantee. If you need more information or have questions, call 514-BIL-LETS (514-245-5387) and a member of our team will be happy to assist you.